A professionally designed website is a marketing tool & an enabler for your business. A website represents your company online. A professionally designed website is directly proportional to increased online sales. 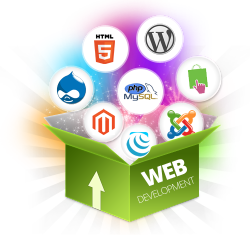 At HUTAIB we provide you tailor-made Web Designing & Development solutions. Unlike many other Web Designing & Development companies the market which offer mass produced or template based designs, we truly understand your website design requirements and proceed only after we completely understand your business needs. Our goal is to provide an affordable Web Portal where in potential clients not only get all information about your company, but also they could interact, search you online through Search Engine Optimization, so that your website is projected way up the search engine results.